Test with the IR emitter. 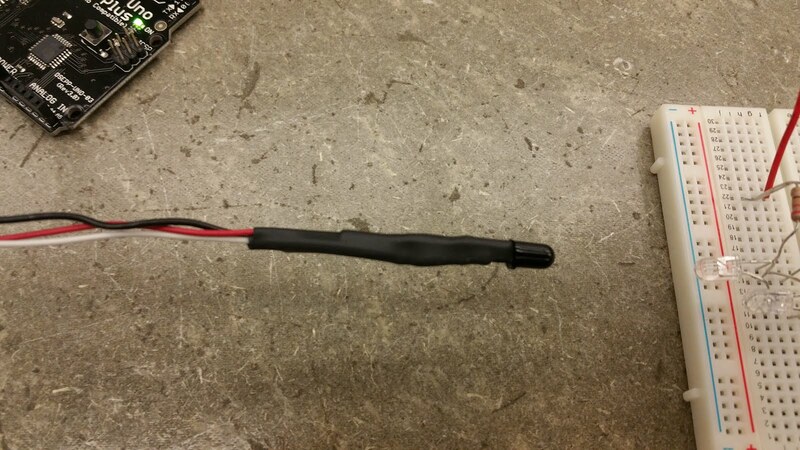 #define myPhototrpin A0 // Pin for the photo resistor. int myInput = 0; // Main loop variable to read the input. 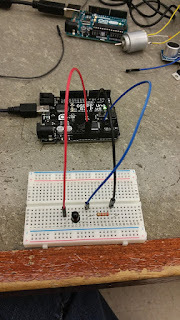 pinMode(myPhototrpin,INPUT); // Setup the pin for input from the photoresistor. Serial.begin(9600); // Setup our serial/debug output. 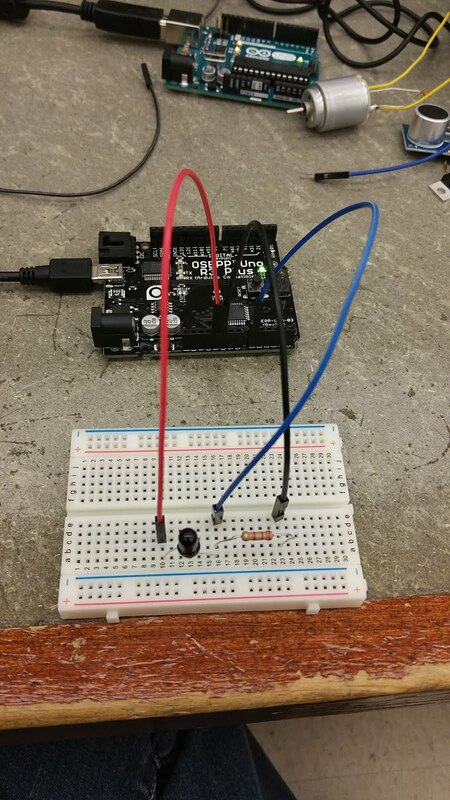 Once I finished testing the values of the bread boarded photoresistor, I then created a finished sensor for use with my robot later. 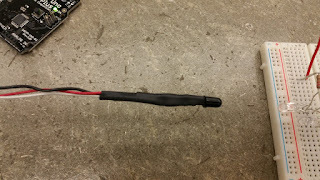 Here is the finished product nicely soldered and shrink tube wrapped.